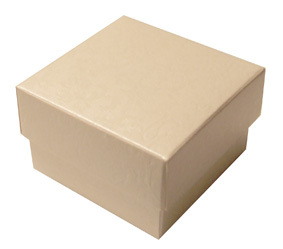 These Ivory Hammer Favour Boxes are the perfect boxes for the perfect wedding. Boxes are supplied in a flat die cut sheet form and are very easy to assemble, they come as a lid and a base and require no glue or adhesive to assemble. The finished box dimensions are 50 mm square and have depth of 35 mm. Boxes can be decorated simply to obtain stunning effects. The boxes are the perfect size to hold a selection of chocolates or your favourite sweets or the customary 5 sugared almonds, nestled on tissue paper.